Lt. Shaun Penn, runs a charged line of hose through Station no. 2 in Sycamore, Ill. on Thursday, Feb. 24, 2011. Penn recently returned from serving the military in Afghanistan. 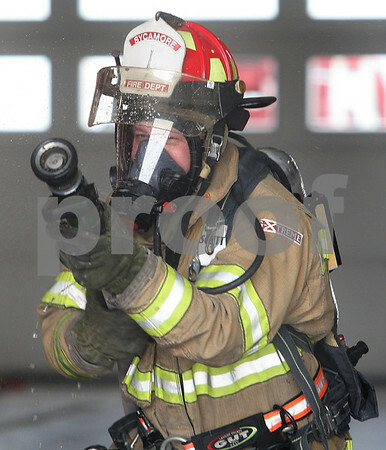 After about a year away from being a firefighter, Penn spent a lot of time in his first week reacquainting himself with critical techniques of the job, before returning to normal shifts.